State officials also say Nelson's claim is unfounded. On Wednesday, Nelson - the ranking member of the cyber subcommittee of the Senate Armed Services Committee said that Russian operatives had penetrated some of Florida's election systems ahead of this year's midterms. "They have already penetrated certain counties in the state and they now have free rein to move about," Nelson told the Tampa Bay Times, though he wouldn't identify which counties were affected - saying it was classified. "The threat is real and elections officials — at all levels — need to address the vulnerabilities." Election officials in Miami-Dade and Palm Beach counties likewise said they weren't aware of any breaches. Employees have undergone training, and the county’s system has been repeatedly tested for vulnerabilities. “We are confident we have done as much as we can," Bucher said. Florida counties are receiving $15.5 million to beef up election security before November's midterms, which Governor Rick Scott's office says $14.5 million of which has been distributed to date - including $3.7 million which went to Miami-Dade, Broward and Palm Beach counties. Scott, a Republican who is challenging Nelson's Senate seat, has demanded that Nelson provide proof of his vague claim over election system penetration. 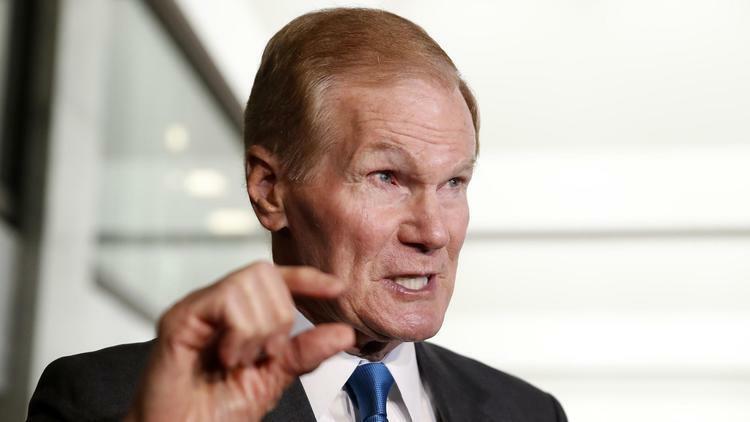 "Either Bill Nelson knows of crucial information the federal government is withholding from Florida elections officials or he is simply making things up," Scott said in during a campaign event in Tampa. "Did Nelson illegally release some classified information? Or did he make this charge of Russian penetration up?" "You can imagine the chaos that would occur on Election Day when the voters get to the polls and they say: 'I'm sorry, Mr. Smith. I'm sorry, Mr. Jones, you're not registered.' That's exactly what the Russians want to do," Nelson said. The Florida Department of State said they have no idea what Nelson is talking about, and has received "zero information" from the Senator or his staff to support the Russian hacking claims. "Additionally, the department has received no information from the U.S. Department of Homeland Security, the Federal Bureau of Investigation or the Florida Department of Law Enforcement that corroborates Sen. Nelson's statement and we have no evidence to support these claims," the Florida DoS said in a statement obtained by The Associated Press. "If Sen. Nelson has specific information about threats to our elections, he should share it with election officials in Florida." “If the federal government has actionable intelligence and we don't have access to that intelligence you can't be surprised that we can't take the actions necessary to respond to those threats,” said Lux. The Department of Homeland Security also responded to Nelson's claim - issuing a statement Wednesday evening saying "While we are aware of Senator Nelson's recent statements, we have not seen any new compromises by Russian actors of election infrastructure. That said, we don't need to wait for a specific threat to be ready."